DYLAN Napa has proven in the past that on his best day there is not a more feared enforcer in the NRL. For that reason Canterbury is confident a change of environment as well as the chance to take on a more senior leadership role will help the 26-year-old firebrand finally realise his full potential in 2019. 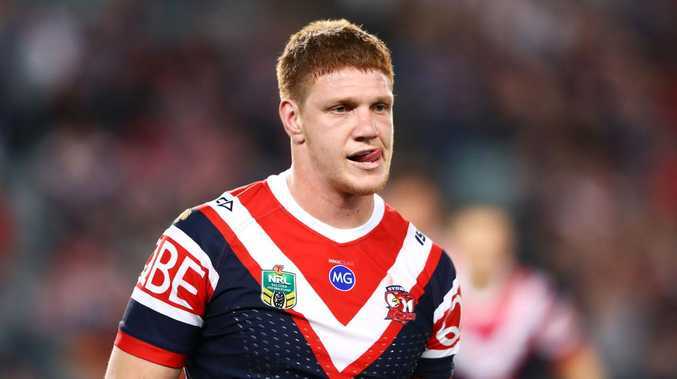 One of the game's worst kept secrets was finally put to bed late Monday when Napa was released from his contract with the Sydney Roosters to take up a three-year deal at the Bulldogs. It will effectively mean Napa goes from playing in a premiership-winning team to one that is now being widely tipped to challenge for the wooden spoon in 2019, with Napa now effectively taking over Newcastle bound David Klemmer's role at the club. While the Bulldogs have had a couple of forgettable seasons, Klemmer along with skipper Josh Jackson have consistently led from the front. Napa produced one of the most brutal and memorable front-row performances of the modern era against South Sydney two years ago when he pinned a target on Sam Burgess. At his best Napa is a real handful for opposition teams. Photo by Mark Kolbe/Getty Images. But even his most loyal fans would concede those type of performances have been too inconsistent throughout his career. "We are hoping he can come to our club and play a leadership role," Canterbury chief executive Andrew Hill said. "He has been involved with arguably the best team in the competition consistently for the last three or four years so we are looking forward to him bringing some of those qualities to us. "We certainly think that he can be that enforcer that perhaps David was for us. "We also think that a change in environment for Dylan will be good. "We have some really good young forwards, so there is an air of excitement. "I just think he can certainly add something to our forward pack." 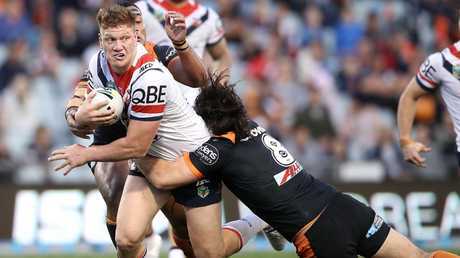 Asked what expectations he had on his roster next season, Hill said: "There is no doubt that we enjoyed the way the team finished in the last six to eight weeks of the NRL competition. "That has given us a great deal of optimism of what we can do on the field given the right environment. "I also think Dean (Pay) as a coach going into his second year will have learnt a lot. "I think we have been able to bring some talented young players through and have given them a taste of first grade. "The club got a lot of confidence out of winning the Intrust Super and national final in reserve grade. "While that is a second grade competition, it suggests we have some talented players coming through. "We have a solid forward pack now and given the right amount of luck and if we continue to work hard, our expectations is that we will be higher up on the ladder than where we finished in 2018." Hill conceded the club had done its best to try and persuade Klemmer to stay but ultimately it was no use keeping the Test front-rower against his will. 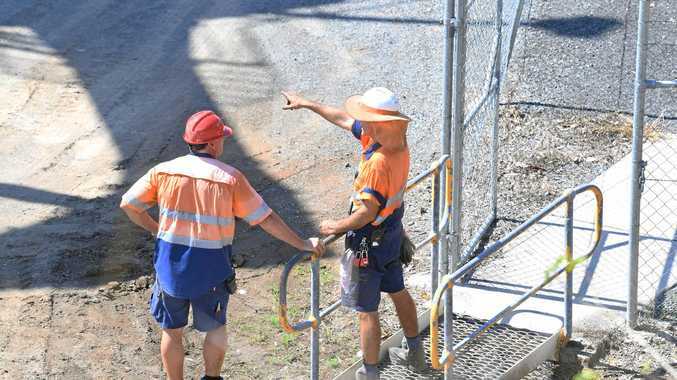 "We made it clear that we wanted Dave to stay and unfortunately as it has turned out Dave has made a decision to seek another direction and we in the end granted Dave that release he requested," Hill said. Hill said he held no resentment towards Newcastle but there is no hiding from the fact a growing lack of loyalty is an issue the game's bosses can no longer ignore. "At the end of the day it is a challenging environment for the game," Hill said. 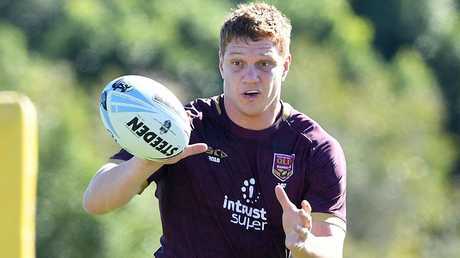 "It is something that is on the agenda for the NRL to be looking at how best to manage these situations moving forward. "Whatever discussions we all have, I think we have got to continue to look at it from a member and fan perspective. "Yes it is a business. "Yes the players have a small window of opportunity. "But I think it is fair to say that everyone in the game has had a degree of frustration in the last six months and it has probably affected to some extent just about every club in the competition, be it player or coaching movement."